The entry to your home can be a big focal point when decorating for Christmas. Yet, sometimes the entry to your home is ignored, or it is overshadowed by other Christmas lights. So we’ve come up with our top 3 Christmas light entry ideas for your home. Greenery is often overlooked while decorating your home for Christmas. When most people think about decorating their home for the holidays, they think of Christmas lights. While Christmas lights are the top decorating component, have you ever thought of what your home looks like during the day? If you only have Christmas lights installed, consider adding some greenery. The greenery will surely stand out during the daytime hours against the mostly white background, just like evergreen trees and shrubs stand out during that time as well. 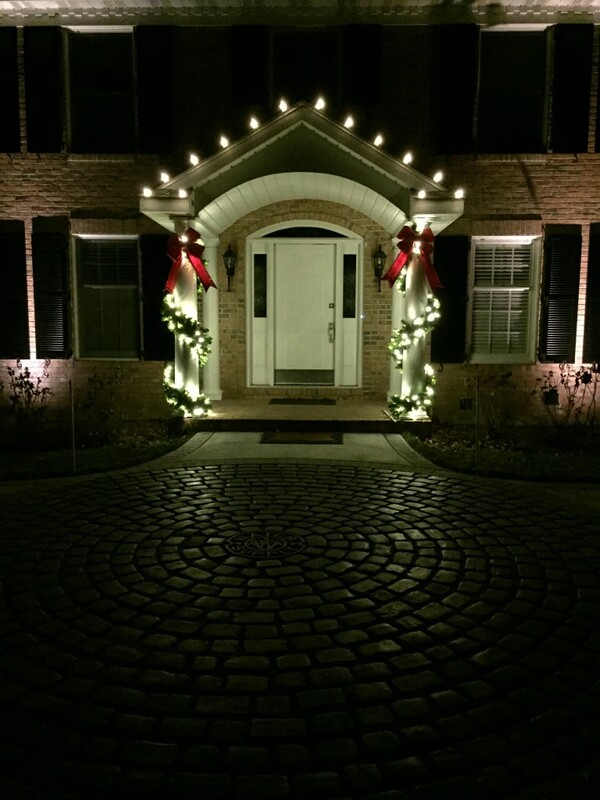 If you have columns or posts at your homes entry, this is the perfect place to get started by adding a lighted garland wrap. While the columns draw people into your homes entry, the entry door to your home is what does the welcoming. A wreath is always a great addition to the front door of your home, as well as any gables. At the front door the wreath will welcome your guests right away during the daytime. And at night, since it is already pre-lit, will produce a wonderful warm glow to welcome your guests or lead them out. 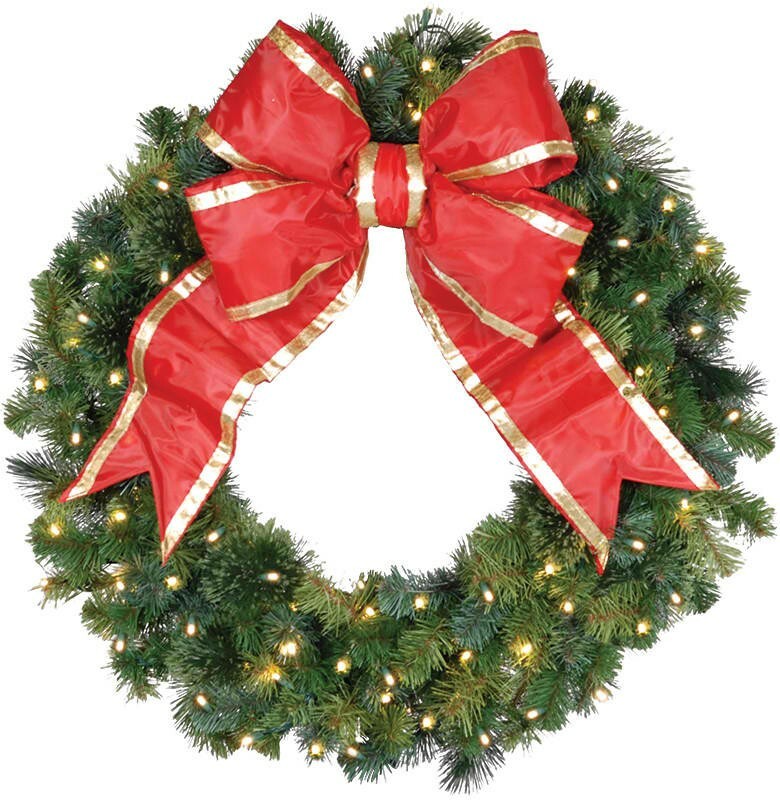 Our wreaths come in many sizes, but the most popular is our 36″ wreath and bow combination. What in the world is a column drop? Column drops are one of our favorite Christmas light ideas for an entry. If you have two columns, or ten, column drops create a unique presence. They are pretty tall at 54″, are pre-lit, and come with a bow…can’t get more all inclusive! Make sure to check out our projects and keep checking back for more great ideas!